also: does the sweed no longer spread? It does, but it is supposed to do it slower than previously. some of the arcane recipes don't consume the crafting materials and vis. tested with the spikes and bloody robes. never had this problem before. is it just from thaumic bases, or could it be an issue in thaumcraft that was exacerbated by thaumic bases? Also, will power converters be added, if something suggest them with very good balance? I think it is a TC issue that gets triggered by TB somehow, since all I did for the recipes was copy->paste them from 1.7.10, since the API for them was not changed. If someone does - maybe. But you have to understand that not only I want them to be balanced(and balanced != nerfed to the depths of hell) I want them to be interesting and not self-sustainable. I basically do not want them to be a block you place once and then forget about for the rest of the game. Any thoughts on the difficult life max health bug? I'd really love to use it for our server and there's no mod like it. Apart from that 1.9 is on the horizon, and it seems that the "create 1 000 000 .json files for 1 block" system stays in the game as is, maybe even worse than that, so I will have to deal something with that anyway, so I decided - why not just do it now? Curious, do Glieonia spread like sweeds do? Do they have a chance of dropping two seeds when mature? Or do you have to create every one of them by alchemy? Just curious if they're really farmable. Alright! I'll just check in for updates. Hello, I have one question of EssentialCraft: does it will update to 1.8? Because i've played it and I love it! I might update EC to 1.8, but do not expect that to be a fast process - way too much got changed in the code of the game in order for me to easily update the mod. I will most likely have to re-create it from scratch. Ok, then the case is to wait for results and the progression for the mod update to 1.8 or 1.9. And thanks for the information Modber ;)! What is SHADE? I've seen it on the Thaumonomicon and it says something about how it is everywhere and exist and yet doesn't(Schrodinger's Shadow?). When I place it on a different world with creative, it just whitens the block on it and slowly turns it into a Corrupted Land biome. It doesn't spread (or maybe it does but it might be very slow, and doesn't really affect mobs nor me (though I am in creative). There are some items in the creative tab that I have no idea what their purposes are. There's a Dice, a bus ticket, a weird symbol, a broken thingy and stuff like that. What are they supposed to do? What is their purpose? Are they not implemented properly yet? Does the SHADE had to do with Hoanna's condition? After all it does turn the biome into Corrupted Lands and you can find these biomes in Hoanna. If it does have something to with it, are we going to see some sort of Nuclear Bomb made from SHADE in the future? Also, how does it relate to let say, the Void and/or the Eldritch. In fact, in Essential Thaumaturgy, what's the relationship between the Eldritch, the MRU and the SHADE? If the Thaumaturge is so afraid of it that they wish to do nothing with it other than trying to destroy it, are the forces beyond afraid of it too? Shade is something I am planning for the future. For now there is not much content in the game. For now it does nothing, though there are some SHADE-specific weapons and MRUMP. SHADE is scaring thaumaturges because they do not know what it is, and because they feel, that it is a very scary thing - just because they have touched the eldritch knowledge they do know more about the world around and they just feel that SHADE is not something, that should be existing in the first place. Oh, thank you for answering! Just for the fun of it, i'll use difficult life with advent of ascension + orespawn. 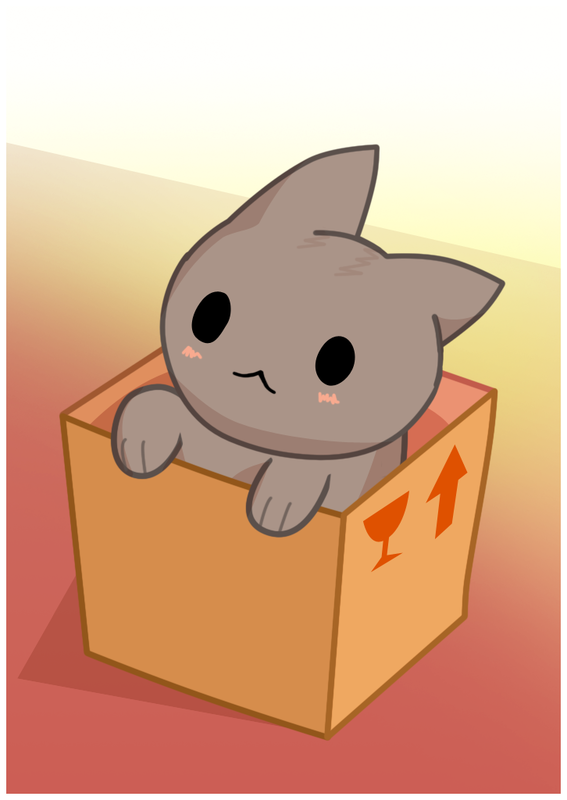 Kitten in a box for only 10.99! Good luck. I've seen furlions at 40hp, trolls at 300, and Shadowlord... never mind. Be sure to turn weapon damage limit of AOA off, though, or it's near impossible. Asking for updates is spam. Really. I make some mods that are pathetically slow to update. Join in on the wait here and here.